Ma'a Nonu will make his starting return to Super Rugby for the Blues against the Crusaders but a reunification with Sonny Bill Williams won't happen from the opening whistle. 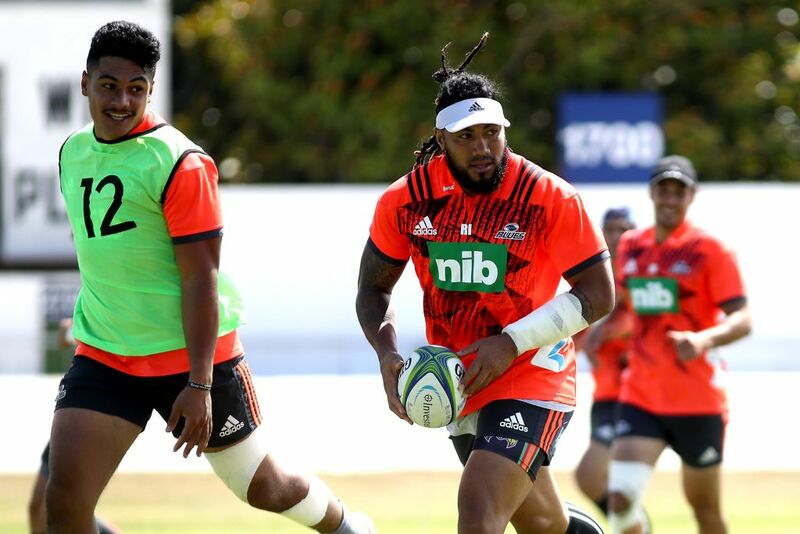 Nonu was named at outside centre for Saturday's opening-round match at Eden Park in what will be the 36-year-old former All Black's first Super Rugby game since 2015. Williams has been included on the bench as new coach Leon MacDonald eases a number of All Blacks into the fray gently. Ex-NRL star Williams (33) endured an injury-ravaged 2018 but, once up to speed, is expected to form a high-profile midfield partnership with Nonu, who has returned from three seasons at French club Toulon. MacDonald has named successful Auckland provincial captain TJ Faiane at inside centre for the clash against the defending champions. Otere Black starts at five-eighth in his Blues debut after failing to take the field because of injury last year. Star All Blacks winger Rieko Ioane will start, while test props Karl Tu'inukuafe and Ofa Tu'ungafasi are on the bench. Lock Patrick Tuipulotu is captain for the first time of the Blues who impressed in the pre-season and are desperate to end their streak of seven seasons without a finals appearance. BLUES: Michael Collins, Melani Nanai, Ma'a Nonu, TJ Faiane, Rieko Ioane, Otere Black, Jonathan Ruru, Akira Ioane, Dalton Papali'i, Tom Robinson, Josh Goodhue, Patrick Tuipulotu (capt), Sione Mafileo, James Parsons, Alex Hodgman. Res: Matt Moulds, Karl Tu'inukuafe, Ofa Tu'ungafasi, Gerard Cowley-Tuioti, Matt Matich, Augustine Pulu, Harry Plummer, Sonny Bill Williams.